A comprehensive look at the betting industry. Can betting generate a sustainable profit in the long term for bettors? How can betting be profitable and how do bookmakers earn their profits? You definitely knew it. You’ve been watching a football game and, from the first minute, you had that feeling that the Manchester team would definitely win. Three goals and ninety minutes into the match, you are satisfied. Not just because your team won 3-0, but because the feeling you had from the start makes you smile. After you calm down, you start to think about how easy it is to guess the winner of a football match. You like the game, you follow it very closely, you know almost everything about all the teams in the league, and you devote so much time to it that your family complains. At that point, you reach the conclusion that you could profit from your favorite hobby. You can watch football every day as you turn your hobby into a regular income, and your family will stop complaining. If you replace football and Manchester with any other possible sport and club, you will find millions of people who think the same as you. Earning money in return for guessing the outcome of any sports game is easy. But it is not. Look at the hundreds of betting companies that earn a lot of money every day and pay hefty dividends to owners every year. If sports betting is a zero-sum game, why are there so many happy and profitable bettors? I saw a lot of bettors. I bet a lot in past. I tried a lot of different betting systems. I followed a lot of insiders who pretended to know more than others. I researched financial statements of many betting companies. I even tried to be a bookkeeper for a while. 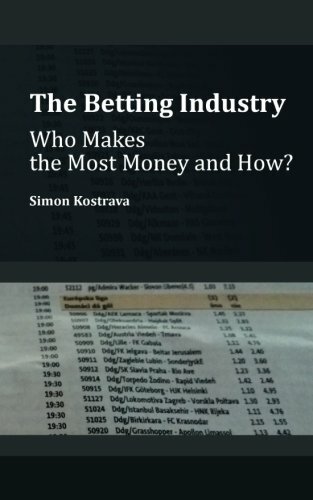 Here are my findings about the betting industry: what you should be aware of, how to pick a bookmaker, what and whom to follow, the gaps in bookmakers’ strategies and the common mistakes that bettors make. And finally: is it possible to be profitable through betting over a long period of time?